Take advantage of our special. 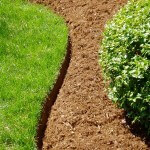 Mention Coupon Code SUMMER2013 and receive a 10% discount on your next bed edging service. 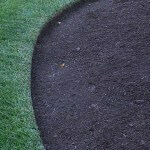 Clean and Well Defined Borders – The best way to get clean and well defined borders for your flower beds and natural areas starts with the right equipment for the job. 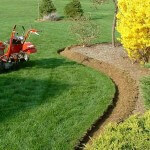 As shown, use of a motorized bed edger will create a shallow but uniform trench between your bed and lawn. 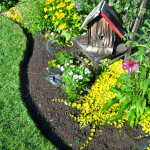 Weed Growth Prevention – Because of the defined break and trench between your bed and lawn, weeds are much less likely to spread from the lawn to the natural area, or from the natural area to the lawn. 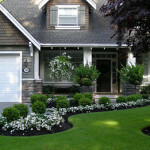 Easier Edge Maintenance – By leaving a slight lip, (approximately 1 inch), on the lawn side, trimming and maintenance is quick and simple. 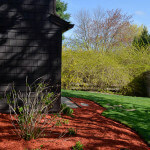 Mulch Stays in Place Even After Heavy Rains – Your mulch does the job it was intended to do, hold moisture and block weeds, much better. 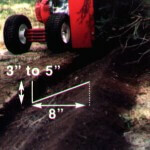 Even after inches and inches of rain, the trench at the edge provides a natural drain and helps contain the mulch. This proves to be a big money saver long-term. 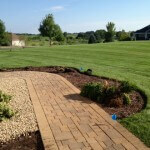 No Need for Stone or Plastic Inserts – Stone, brick or plastic edging inserts can quickly become very costly. 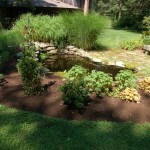 When you have your bed or natural area professionally edged, you can save yourself hundreds and possibly thousands of dollars.